Abu Dhabi is the capital of the United Arab Emirates and the country’s largest emirate with over 1.6 million residents. The emirate is a blend of diversity: from the contemporary chic of downtown Abu Dhabi to the timeless Bedouin traditions of the surrounding mountains, deserts and the sandy beaches. With an ultra modern infrastructure which befits its status as the economic and political hub of the UAE , Abu Dhabi perfectly combines its role as a business and tourist destination. From shopping in luxury malls to bartering in traditional souqs; from enjoying the miles of golden beaches, to relaxing in one the city’s many public parks; from the fine dining of the city’s 5-star restaurants to the unique pleasure of the desert safari – the options are really endless. 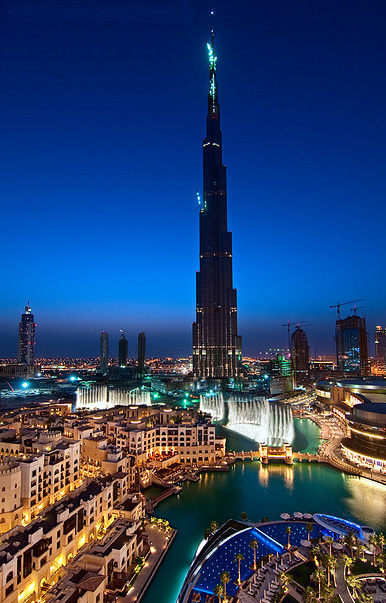 Dubai is the second largest Emirate in the United Arab Emirates and probably the most well known. Under the guidance of Shaikh Mohamed bin Rashid bin Maktoum, it has forged a reputation as one of the most important and vibrant cities in the Middle East. Dubai has a year round sunny climate with rain a very rare occurrence, happening only a few times a year. The winter months (November to March) are the most suitable for tourists, with the weather averaging a pleasant 30C and humidity on the low side. Dubai is a popular destination for a relaxing beach holiday, an adventurous desert experience with its beautiful white beaches, clear blue sea, top class International Hotels, many fine and varied restaurants, in fact Dubai has everything that you could wish for to have a memorable holiday in safety. It is a city where the dust of the desert is clearing to reveal the potential for one of the most significant international cities of the 21st century. Its ultramodern skyline, it’s easy to forget that Dubai, part of the United Arab Emirates, was once a small town of Bedouin traders. Now the old mixes with the new: At the Nad al Sheba racetrack, camels race by day; thoroughbreds at night. High fashion and electronic stores are as popular as the gold souk. A sampling of the 400-plus restaurants gives you a taste of Dubai’s ethnic diversity. 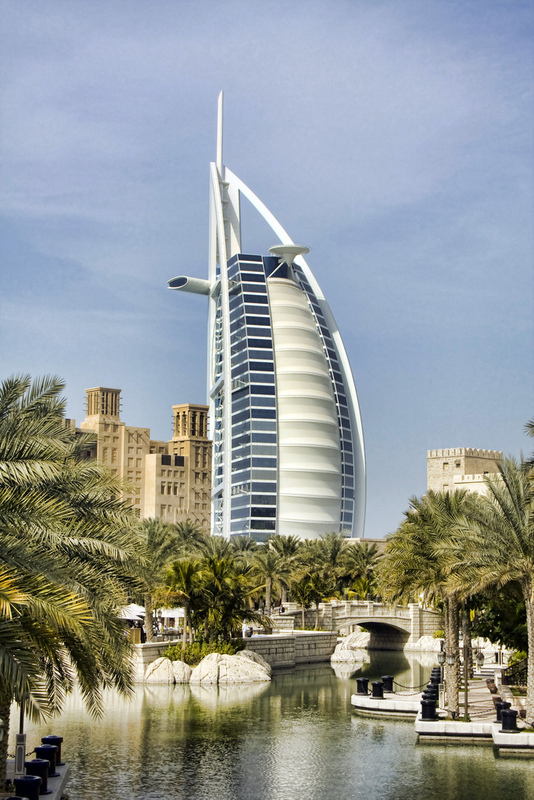 Come enjoy the beaches, golf, historic sites, nightlife and renowned tax-free shopping of Dubai. Tourism is now an important part of the Dubai government’s strategy to maintain the flow of foreign dollars into the emirate. It provides an Arabian experience in a very comfortable, safe and tolerant society. Visitors can enjoy all the international pursuits – golf, watersports, horse racing, polo and nightlife. Plus there’s the attraction of the desert itself, with the opportunity to be part of a memorable adventure. There is perhaps no better place to delve into Dubai’s history than in the museum housed beneath the 180-year-old Al Fahidi Fort in Bur Dubai. Here the old is replicated using new technology. Tableaux show life as it used to be on a working dhow in Dubai Creek; in the souks and the mosques; and in the desert camps of the Bedouin tribes. And while much of the traditional way of life in Dubai has disappeared in the shiny reflection of the glass and glitz of five star hotels and commercial offices, and has been devoured by modern highways, bridges and underpasses, the essence of Arabia remains in busy side streets, along the creek, and in the desert which blows at Dubai’s backdoor. The city is divided by Dubai Creek. Consequently the most interesting and direct way to travel from Bur Dubai to Deira on the north bank is by abra water taxi, a traditional form of transport used by locals to go about their business; and by tourists to access the spice and gold souks, and the myriad shops selling textiles and electrical goods in the Shindagha quarter. Five star hotels in the city are recording high occupancy rates but the competition is moving up with several new luxury hotels planned. The third largest emirate covering an area of 2,600 sq km, the emirate of Sharjah straddles the peninsula, overlooking the Arabian Gulf to the west and the Gulf of Oman to the east. Sharjah has a rich heritage, which you will enjoy visiting. The most favourite thing to do at Sharjah is to shop. The souks and Markets of Sharjah has always been hot favourite of the tourists. People especially visit Sharjah for Shopping. The markets have preserved most of the traditional values of the past heritage. Sharjah is also a favourite destination of the food lovers. The food available at Sharjah is from most parts of the world and especially the Middle East. 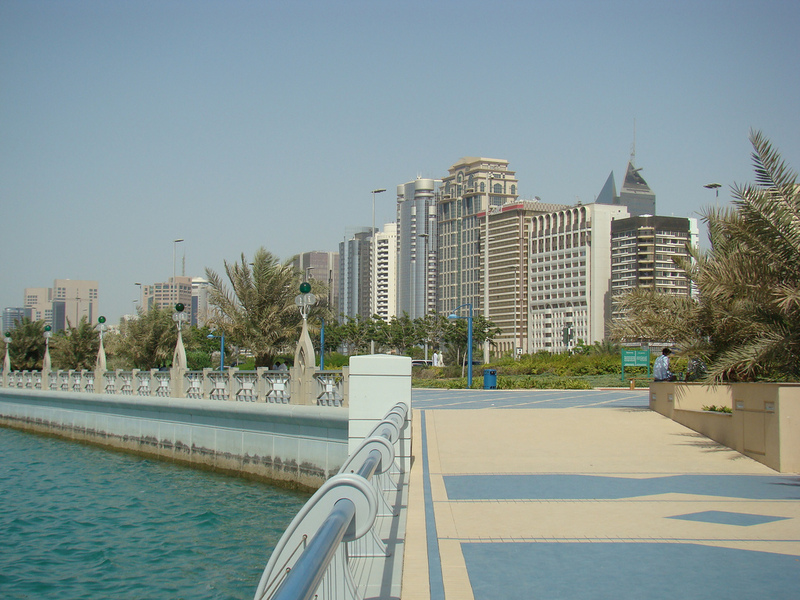 Tourism in Sharjah offers some great excursions around the city, which are a must visit for a tourist. Summer and winter are the only two seasons in Sharjah. The best time to visit this place is between October and April when the temperature is mainly 24 – 25 degree C during daytime. The nights, on the other hand, can be bit chilly. Tourism in Sharjah is developing in a huge way. 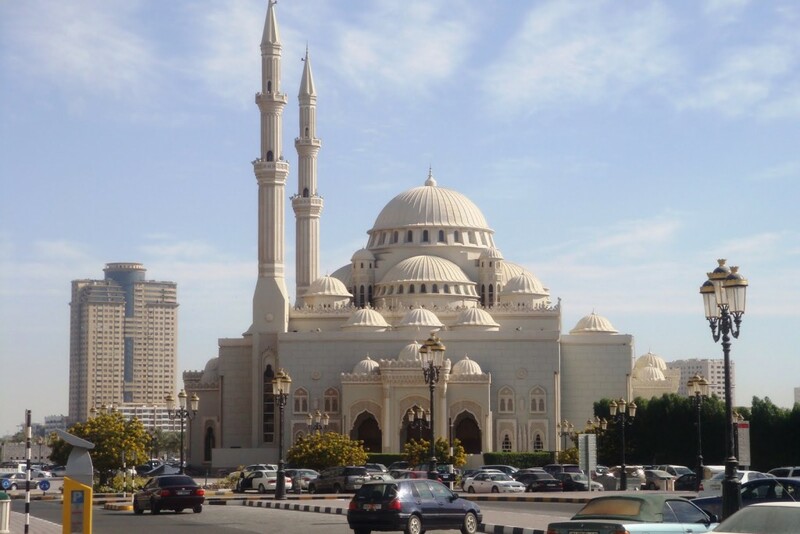 Sharjah has become a sought after destination of the United Arab Emirates. With Arabian Gulf Coast in the west, Gulf of Oman and the Indian Ocean in the east, there are many great Tourist Attractions in Sharjah that lure people to visit this beautiful state of UAE. The state is taking every effort to further tourism in this part of the country by taking up different measures. 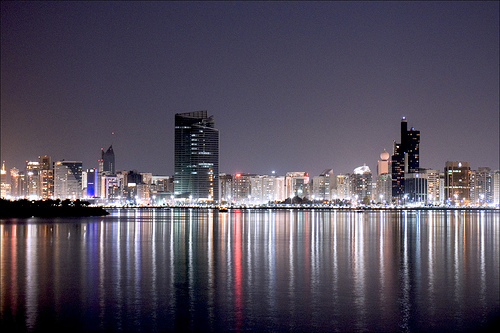 Sharjah is a major business destination and is well linked with other cities of the world by Air, Road and Sea. Sharjah has a vibrant history. The state has undergone many changes in the recent times. Many New Attractions have been added to increase the tourist value of Sharjah so that more and more tourists visit this place. The Emirate of Ajman is situated on the coast of the Arabian Gulf, extending over a distance of 16 Kilometres long, between the emirates of Umm Al-Qiwain and Sharjah. The area of the emirate is 259 Sq. Km., equivalent to 0.3% of the country’s total area, excluding the islands. The population is estimated to be 123,000 for 1996.
at the town’s entrance, and the large fort in the town’s centre. Yet Ajman – which now is the northernmost part of the Dubai-Sharjah-Ajman coastal urban belt – is in no way resting on its considerable history. Its dynamic leaders, H.H. Sheikh Humaid bin Rashid Al Nuaimi, Ruler of Ajman, and H.E. Sheikh Ammar bin Humaid Al Nuaimi, Crown Prince of Ajman, have set into motion plans that look to make the emirate a significant economic player in the Gulf region. The gleaming new Dh 10 million Ajman Centre has quickly become another prime trade fair venue in the Emirates. The Centre is seen as a turning point in the development of the emirate and will be a major attraction for cultural and sports activities as well. Ajman’s corniche is being developed too, even as in the background a tower for the Ajman Chamber of Commerce and Industry shoots up. And now, the emirate plans to set up a gigantic Dh 2 billion tourism and entertainment city with luxury facilities. To be built at Al-Zawra as part of a consortium with international infrastructure corporations, the fun city will include a hotel, furnished apartments, amusement facilities, shopping centres and parks. Fujairah lies on the eastern part of the Arabian Peninsula, bordered from the east by Omani coast, from the west by emirates of Ras Al Khaimah and Sharjah, from the south Kalba and it faces Omani coast. 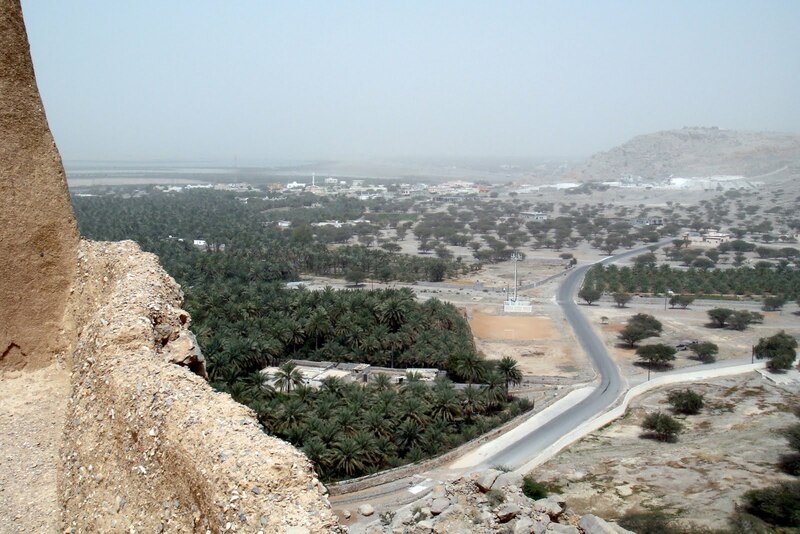 Fujairah extends 70 km. on the Gulf of Oman from Ousla village to Dibba to the north. 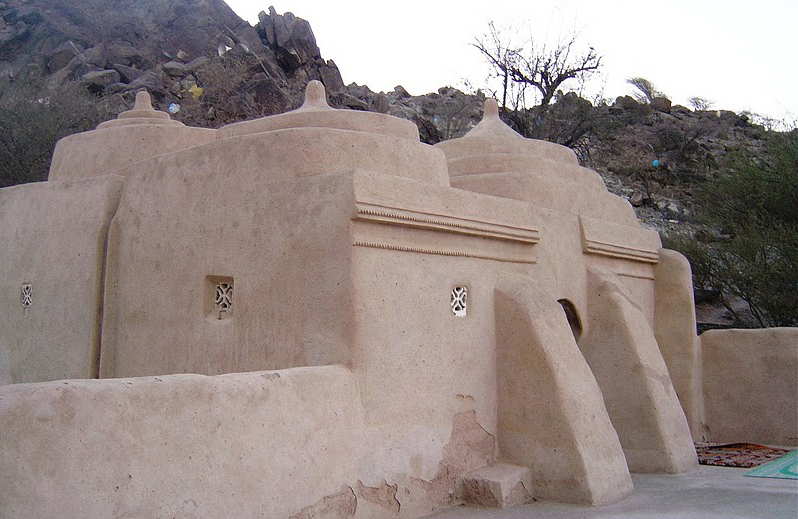 Tourism in Fujairah have the priority due to the significant role that tourism plays in introducing the UAE society with its heritage and traditions including Fujairah with its wonderful beaches, mountain chains and archaeological sites with history goes back to thousands of years. The Emirate of Fujairah enjoys good and growing road connections with UAE and adjoining countries. The Emirate of Fujairah is frequently referred to as the bride of the Emirates and the gateway of the Gulf on the Eastern region. It combines the splendours of the present, the heritage and originality of the past and the bright future which augers rewarding prospects. 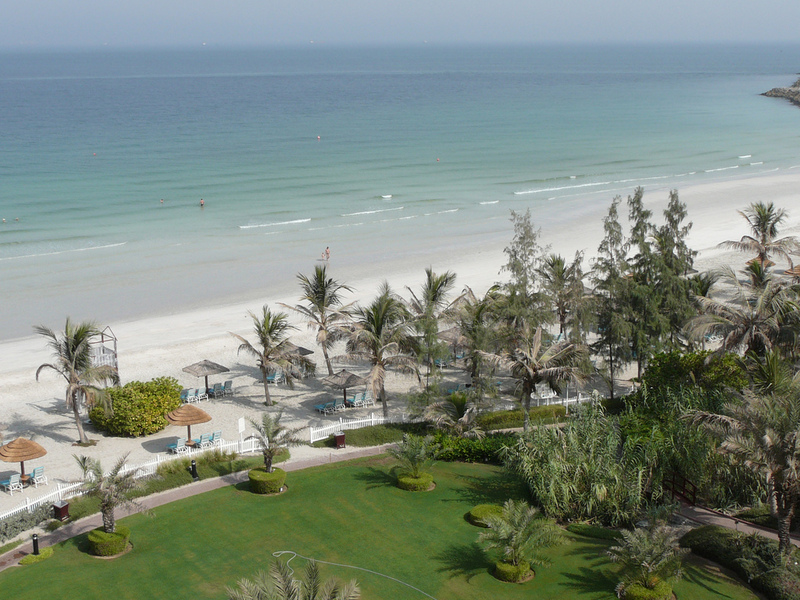 Ras al-Khaimah is the most scenic and varied of the seven Emirates. 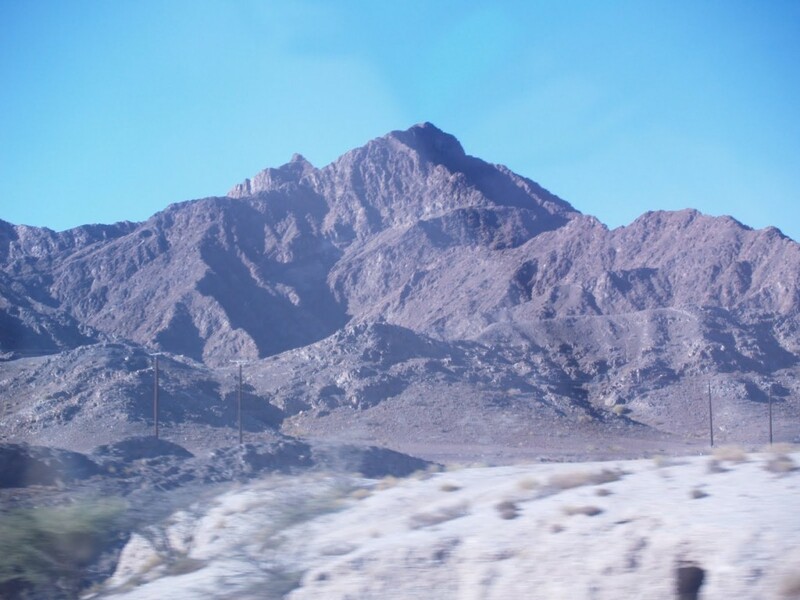 Within its territory it combines the coast, the fertile agricultural plains, the desert and the mountains. Each of these environments has given rise to different lifestyles: the traders, fishermen and pearl divers of the coast. The date-palm farmers of the plains, the Bedouin of the desert and the Shihuh and Habus tribes of the mountains. All of these groups have interacted throughout history to make up the rich and complex society that modern Ras al-Khaimah is. 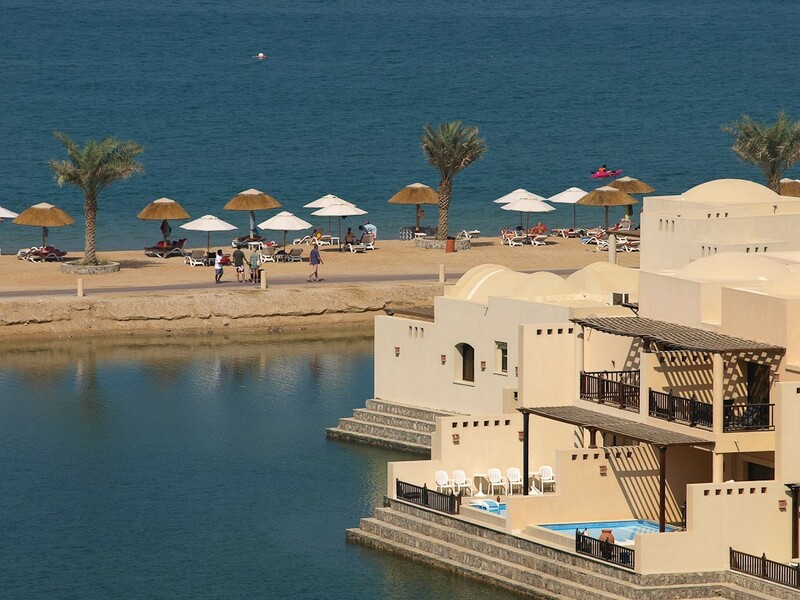 Ras Al Khaimah (RAK) is one of the seven emirates that comprise the United Arab Emirates (UAE). Its name means “Head of the Tent”. 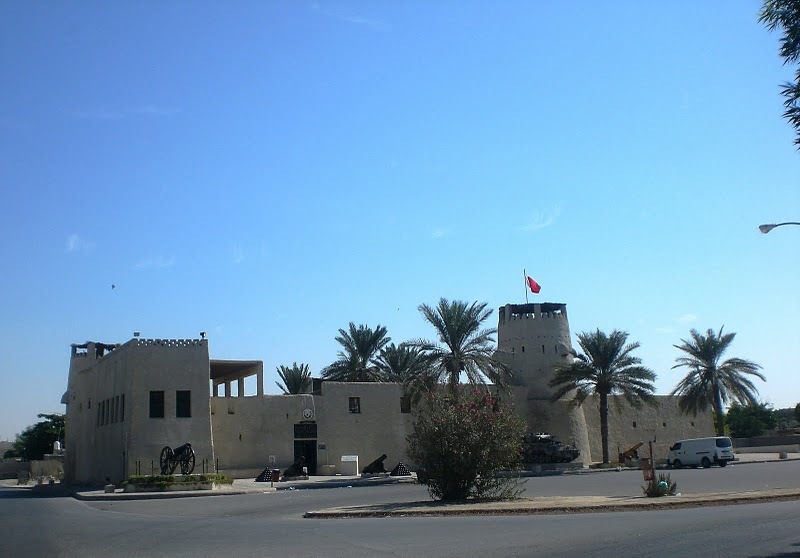 According to one local tradition, the name originated from the golden top of the tent of the leader of a Persian force, who encamped at Ras Al Khaimah, after landing on the Southern shore of the Gulf on his way to overthrow the Ya’ariba dynasty in Oman. Sailors passing by called this Ras el Keime, which in Arabic signifies the point of the tent. 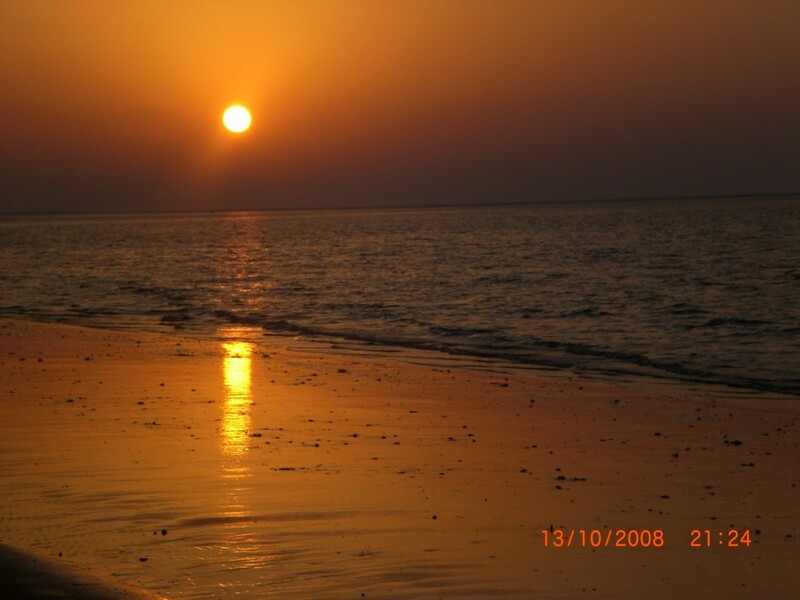 Umm Al Quwain is one of the smaller emirates of the UAE. The area covers an area of 800 square kilometres and stretches from the beautiful, lush green coastal mangroves lining the shores of the Persian Gulf, inland across the rolling sand dunes to the fertile oasis surrounding Falaj Al Moalla, the agricultural part of the Emirate. 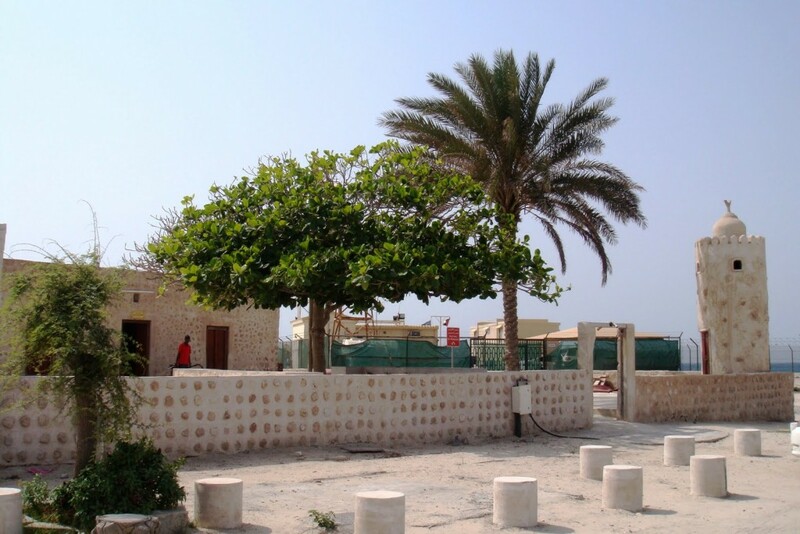 Seneyah Island, one kilometre away from the town of Umm Al Quwain, is a natural reserve for a large species of birds, deer and Al Qaram trees. Now tourism in Umm Al Quwain will receive a further boost with “Dreamland” – the world’s largest aqua park.